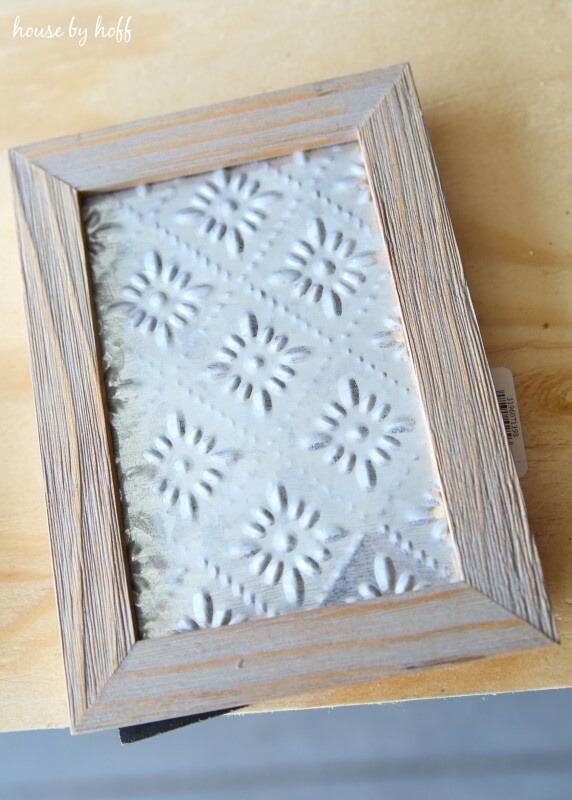 I was super excited to be invited to participate in “The Great Craft Swap” sponsored by Wayfair.com. 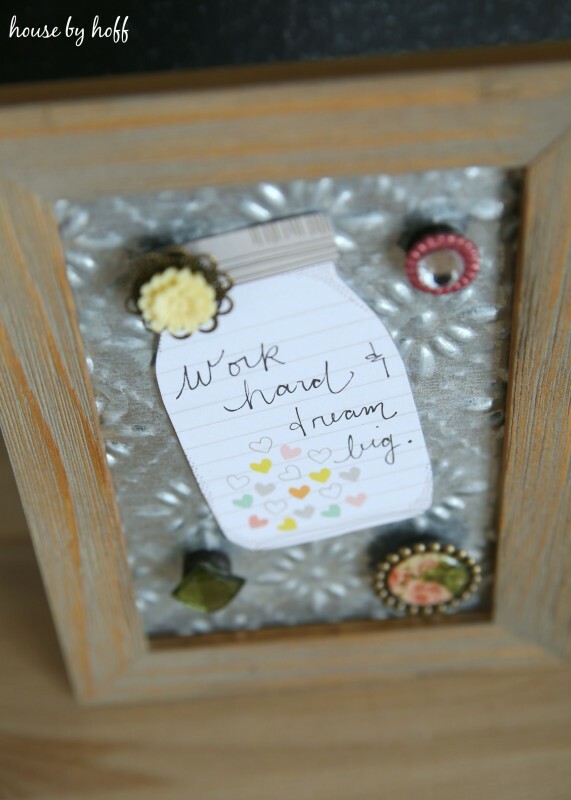 The idea for the swap is simple: Use my creative and crafty skills to change up one Wayfair.com item, and send it along to a fellow blogger. 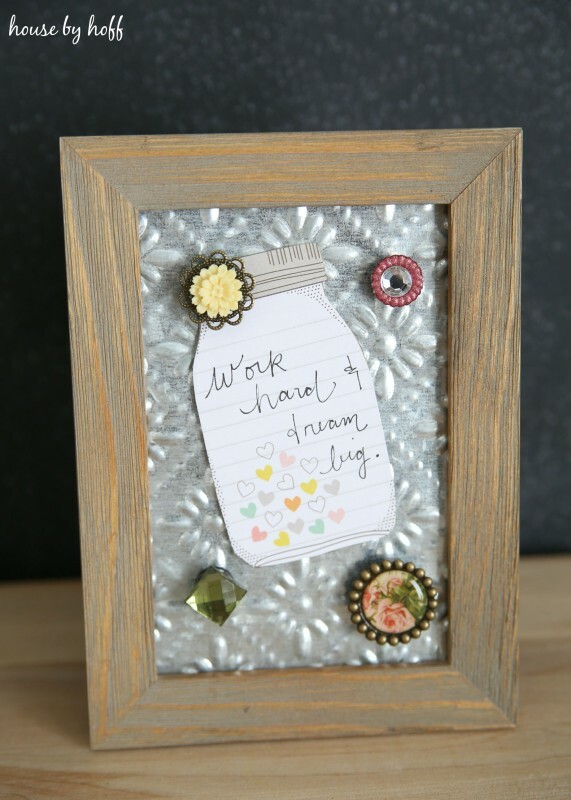 I was even more excited to find out that I was swapping crafts with my fellow blogger, and friend Ashley Phipps of Simply Designing with Ashley! Let me show you how I transformed the Malden Driftwood Linear Picture Frame into a Tin Ceiling Tile Message board for Miss Ashley! Straight out of the box the frame looks great! 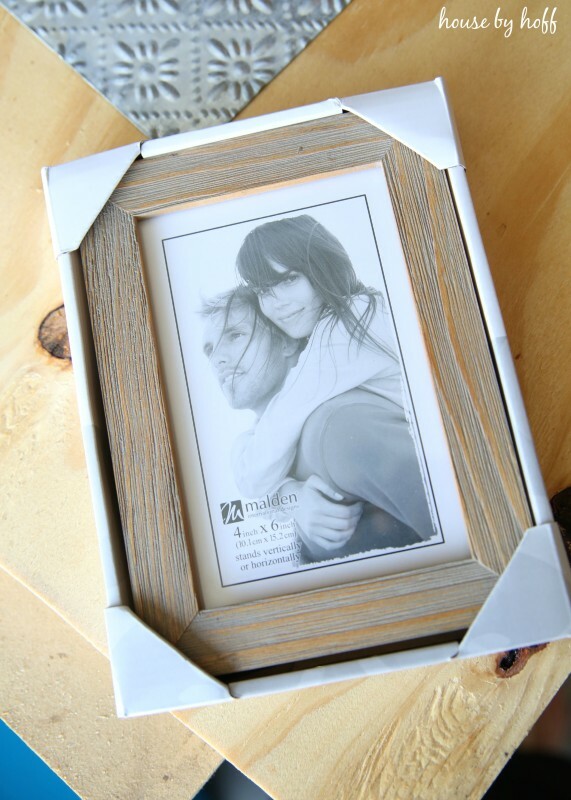 I love the weathered wood finish, and I didn’t really feel like I needed to do anything to make the frame look different in any way. I measured out a 4″ x 6″ rectangle on a pretty tin ceiling tile. 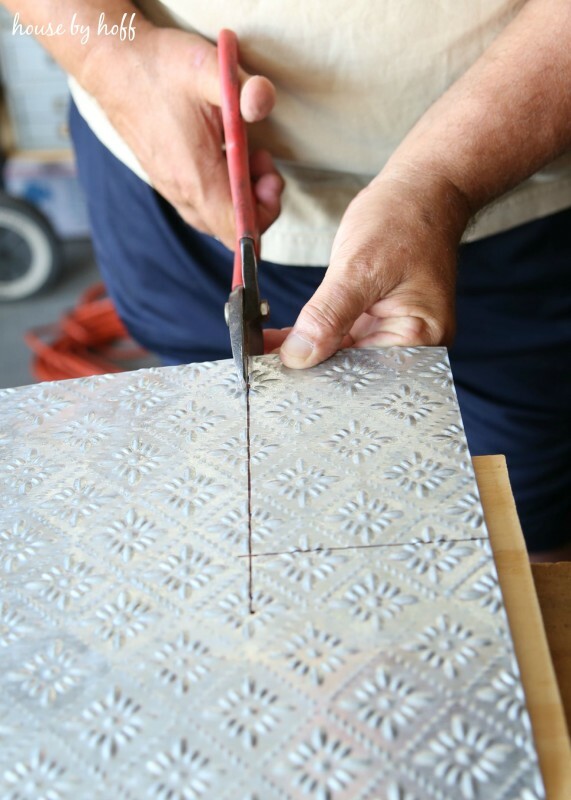 I didn’t really have anything that could cut tin, so I brought my piece of tin ceiling tile over to my dad’s workshop. 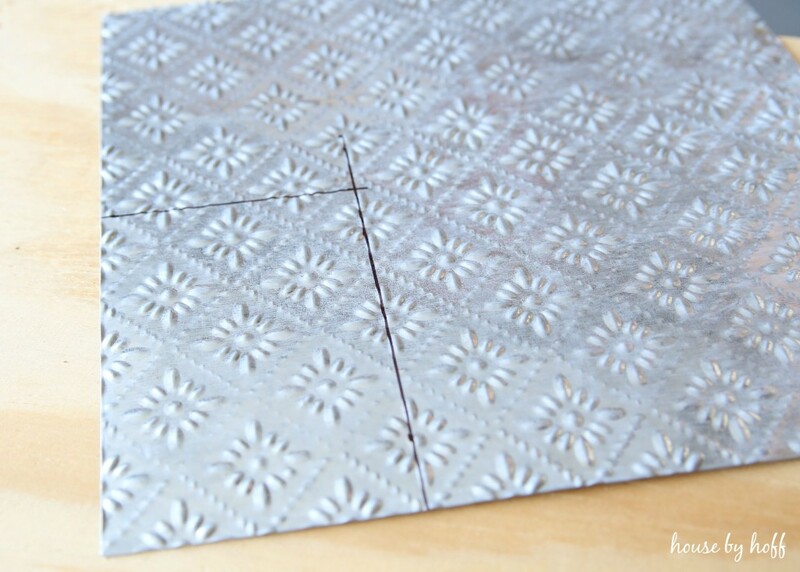 He used some tin snips to cut out the 4″ x 6″ rectangle for me. Thanks, Dad! I really loved the way the tin ceiling tile looked with the weathered wood finish. It looks like a gorgeous shabby chic piece, no? The final touch was to hot glue some magnets onto the back of some vintage-looking trinkets. 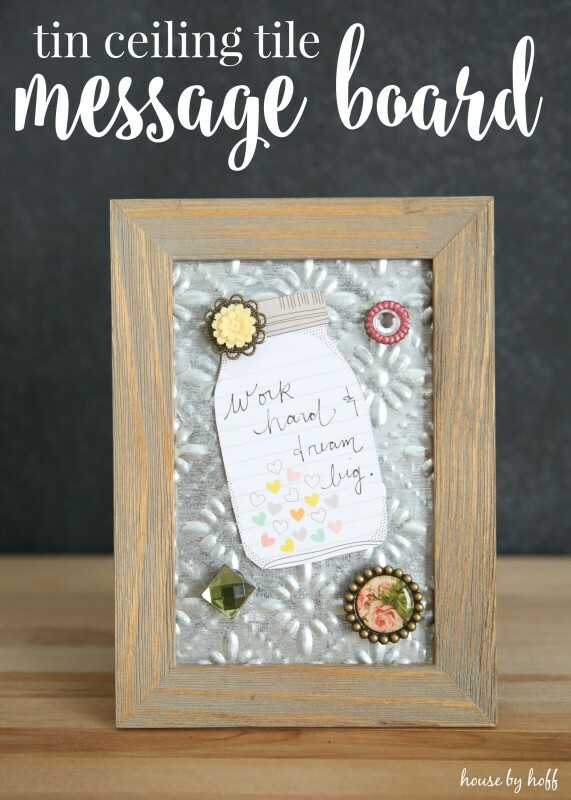 I love the idea that Ashley can switch out the message, or use the magnets to display a photo on her new Tin Ceiling Tile Message Board! …and what did Ashley send me? 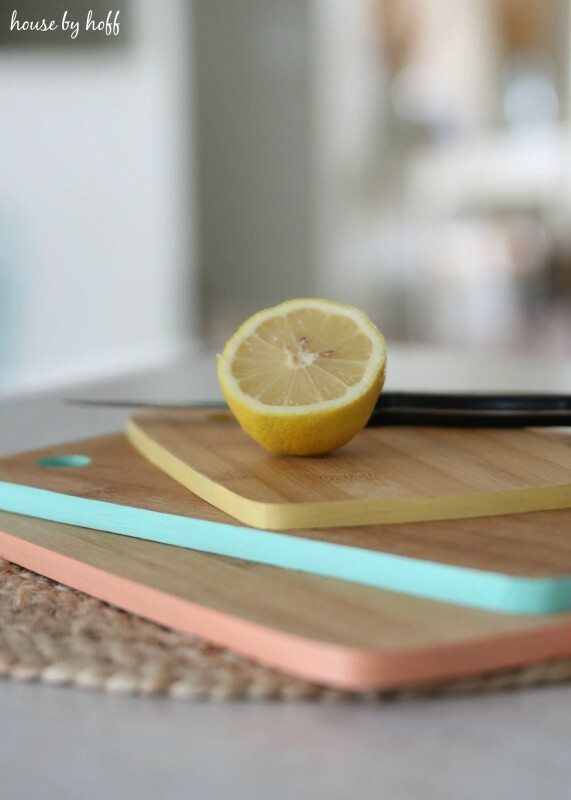 I love this super-cute set of cutting boards that she painted with colors that match my decor perfectly! Such a great idea! love this!! So cool and creative!